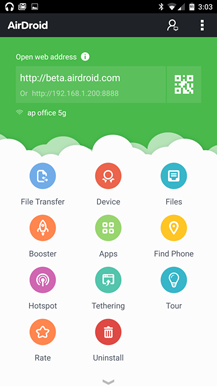 AirDroid is one of those indispensible tools that goes on a new phone or tablet the minute I set it up. And it's only gotten better in the years since it debuted: the second version of the web-based management app allowed users to access their Android device for files, contacts, photos, and other functions from any browser with a login system. With version 3, just published as a beta app, the developer has added a stand-alone desktop manager for Windows and OS X. The desktop client isn't a carbon copy of the "virtual desktop" web interface, it's more of a basic tool for accessing some of the more popular features of AirDroid without relying on a browser. 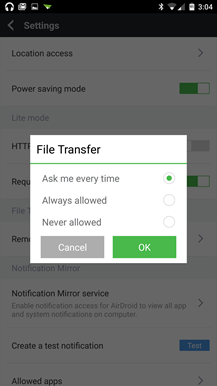 At the moment it does file transfers to (but not from) your Android phone, remote text messages, call log display, contact display, and remote notifications, some of which requires extra permissions on your device. It can also display a low-framerate video feed of your phone's screen and take screenshots with root permissions, though that isn't working on my desktop (see above). It still works in the beta version of the web interface; there's a link to the web right on the desktop if you're having trouble. All interactions with AirDroid 3 are now encrypted from end to end. On the Android side of things, the familiar green AirDroid interface has been streamlined, with nearly all the options now moved to a grid display on the main page. A quick link to your AirDroid account sits in the top right corner. 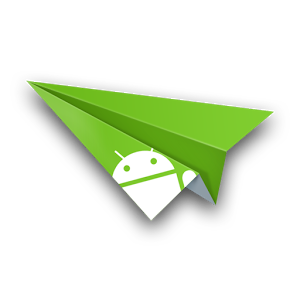 AirDroid 3's Android and desktop clients can be downloaded here, no Google+ community required. 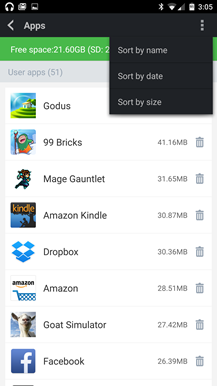 Note: the upgrade dialogs in the desktop version direct you to download apps via the Play Store or with a QR code, but they're outdated - only the APK at that link will work with the new stand-alone desktop tools. 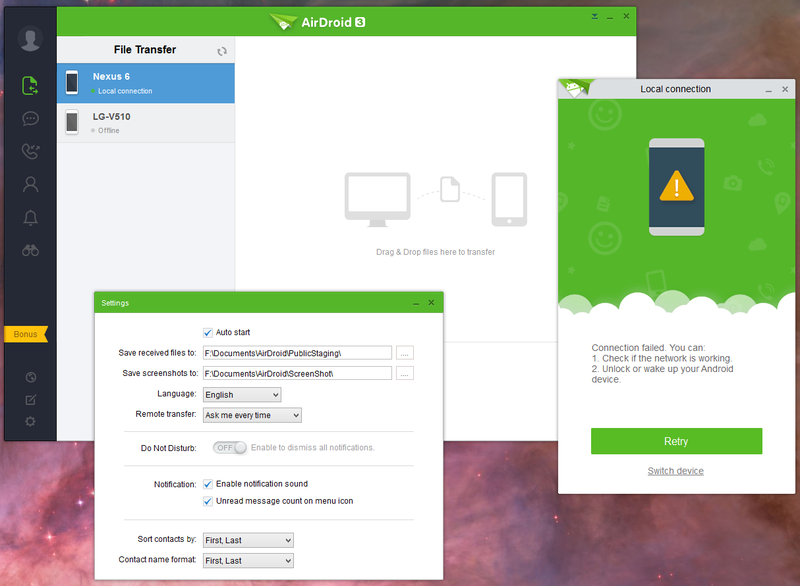 AirDroid is free to use, but connecting more than two devices to the remote service and unlimited mobile data transfer requires a $2 monthly subscription.